Here at Australian Outdoor Living we love nothing better than watching the Aussies hit for 6 and bowl out the opposition for a cheeky duck. Summer is a time for spending outdoors but if you can’t get to the cricket, we don’t think there should be a reason for you not to hit a few boundaries yourself. Artificial grass is an incredibly versatile product and we thought up another idea: how about setting up your own backyard cricket ground? Picture this: Uncle Jimmy is in the deep field (conveniently next to the esky) while Mum’s having a go at being a wicky (she’s a little wobbly!). You’ve just got to the crease and you’re ready to hit some big numbers against your brother who’s giving you the evil eye and about to put some serious spin on your first ball. You smash it over the neighbour’s fence for 6! Soon enough you’ve got victory over your family members and managed to reach 50 (let’s be honest, it didn’t take much with you smashing 6’s all the while). You’ve decided to declare the innings at the same time grub’s up. The wife has managed to cook a feast so while everyone sits back and tucks in with a few chilled beers*, you decide to admire the crease which made you a champion. All around you is lush artificial lawn that requires no maintenance, so it looks like you won’t have to bribe your daughters any more. 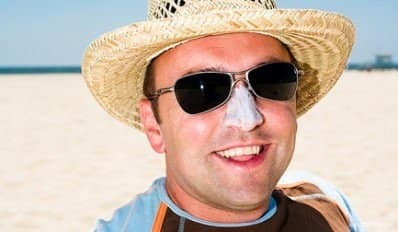 It’s a scorcher of a day but naturally, you look the part with white zinc over your nose – it’s a huge success. With all the great weather coming up, it’d be a good idea to get your mates over on the weekend and start up a mini-cricket league – don’t worry, the lawn can cope with some heavy traffic! Our lawn is made tough, just like your batting skills. So get practising – you can’t be seen to lose on your own (artificial) turf. *Drink responsibly. Honestly, how will you bowl out your entire family with a guts full? Want more family entertainment inspiration? Looking for more fun ideas to encourage the kids outdoors? We’ve got plenty. Check out our resources below.